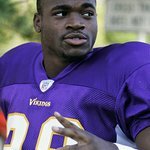 Adrian Peterson, the star running back for the Minnesota Vikings and current leader in the NFL for rushing yards, opened his checkbook to donate $50,000 from his All Day Foundation to the disaster response veteran service organization, Team Rubicon. One of the most valuable offensive players for the Minnesota Vikings since 2007, Peterson, also known as “AD,” first joined the team after an award-winning career at perennial college football powerhouse The University of Oklahoma. Since playing for the Vikings, AP has risen to prominence as the league’s leading rusher, earning numerous accolades and setting both NFL and Vikings franchise records in the process. Team Rubicon is an organization that empowers experienced military veterans to deploy rapid emergency response and relief teams to natural disaster sites and other crisis areas around the world. Team Rubicon was created in 2010 and has already lead response and relief missions across both the nation and the globe, activating their veteran emergency response teams (VERTS) in countries such as Burma, Chile, Haiti, Pakistan and Sudan in addition to helping on the home front. Team Rubicon focuses on the integration of veterans into their communities by empowering them to be civic leaders through the utilization of their military skills and experience in times of crisis. 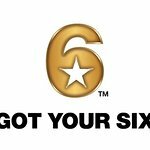 As a lead nonprofit partner for Got Your 6, the entertainment industry-backed campaign devoted to changing the conversation around military veterans in America, Team Rubicon has committed to engage veterans and military family members in 1.5 million hours of volunteer service under their Got Your 6 leadership pillar.